CPHR Alberta supports 6,000 members across the province with our seven chapters in Calgary, Edmonton, Central Alberta, Lethbridge, Medicine Hat, Grande Prairie and Wood Buffalo. 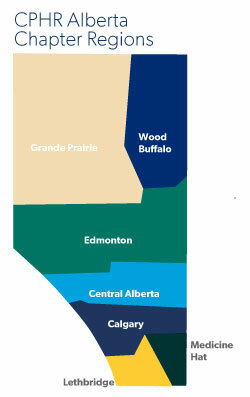 While some chapters are larger geographically (Grande Prairie Chapter is over 215,000 km2 – 3x larger than Ireland! ), and some chapters are larger in membership (Calgary Chapter has over 3,000 members! ), all Chapters contribute to the strength of CPHR Alberta.